How many backlinks does your site have? If you’re like most, you have no idea. And that’s okay as long as you’re actively seeking out links and growing your site! The problem that many businesses and site owners run into is that they have too many low-quality backlinks, and not enough high quality links. Fortunately, there’s an easy way to find those high quality links. There are a ton of factors that go into ranking your website, with two being given more weight than others. You need a lot of high quality content on the site, and you need a lot of high quality backlinks pointing to your site. Here’s how to earn those links. 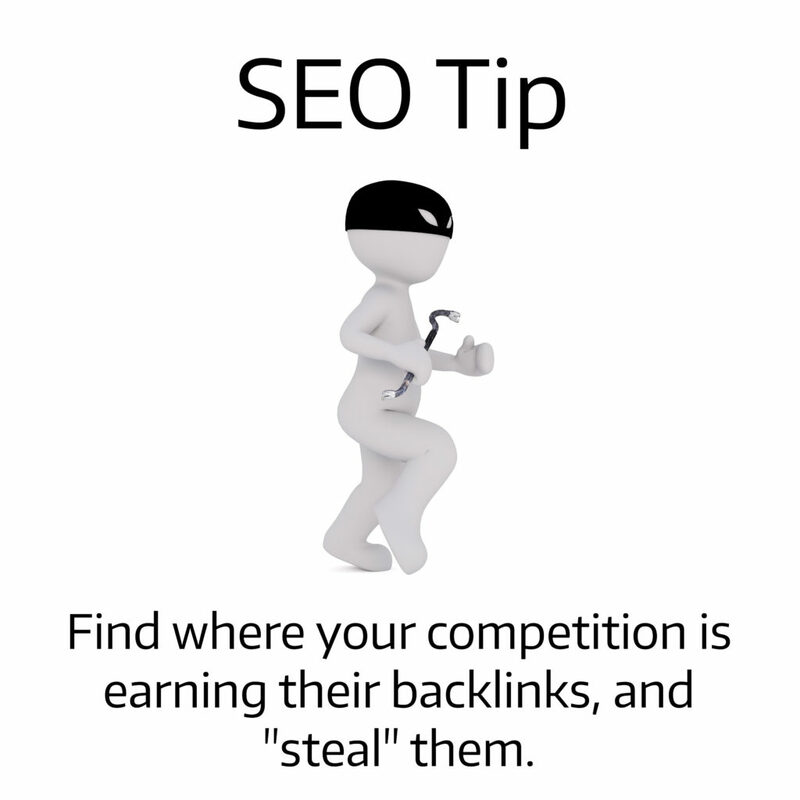 Your first step is to find out who is linking to your competitors. It’s not quite as hard as it may seem. You don’t have to scour the internet for related articles and then try to find those links. Instead, you can opt for one of many link research tools. There are free versions, and there are versions you get with a subscription to SEO software; it all depends on how intense you want to get with things. While you’re going through this analysis, it’s helpful to make a spreadsheet so you can easily see which sites are linking to where, and you can keep track of who you have already contacted. Once you have your list, it’s as simple as reaching out to those who run the sites and offering to write a guest blog for them. They get more content (one of the top ranking factors) and you get a link (one of the top ranking factors). It’s an easy win-win for everyone. Of course, as a busy business owner you don’t have time to research links, pitch guest blogs, and earn links. Instead, you should be focusing on your business. That’s where we come in. As an SEO specialist in Billings, Montana, and as a content writer, my team and I can help improve the ranks of your website. You get quality content, quality backlinks, and better rankings. All that you have to do is handle the influx of customers. Ready to get started? Get in touch today to learn more about how we can help you get found online.